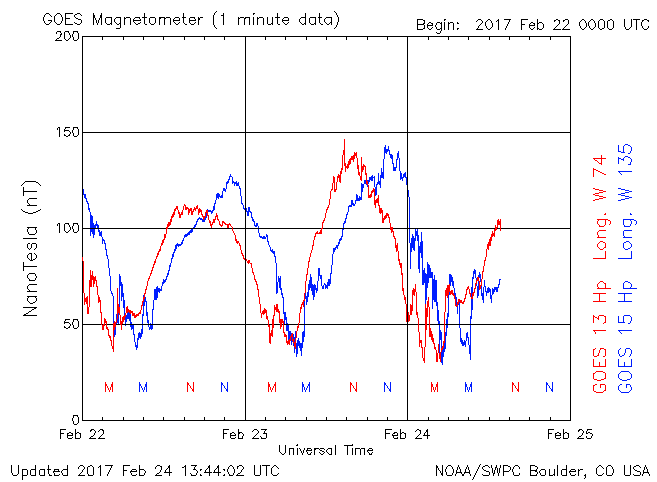 Earthquake Prediction: GOES Magnetometer goes low today! GOES Magnetometer goes low today! This morning GOES Magnetometer registered nicely below 50nT indicating there should be a strong event coming over the next few days. We expect something according to out published calendar on 26th or 27th February.